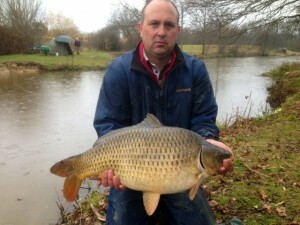 We have introduced a good head of specimen carp to the existing stock that have now seen fish of 38lb plus being caught. Along with the carp, there are some fantastic size catfish weighing in at 80lb plus, also with specimen-sized Perch, the Specimen Lake 2 on our complex offers something different for the angler to the average water. The lake has matured over the years and the one island and reed-fringed margins have established themselves. With anglers constantly fishing the lake, the whole area of the lake will produce fish. With average depths of six feet, the lake fishes well through the whole year. The far end is the shallowest part of the lake and this area regularly produces big catches of carp to visiting anglers.